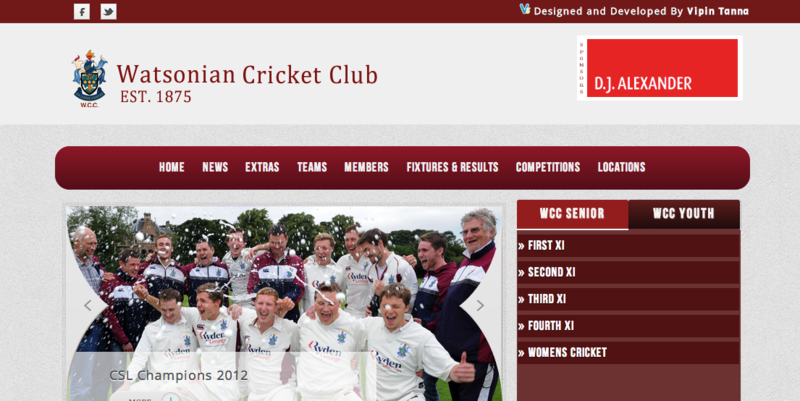 Watsonian Cricket Club is a website developed for ‘George Watsons School’ cricket club . This website allows users to read latest news posted by the club in addition to that it allows the club to insert scores,updates,teams and etc . Watsonian Cricket Club is a website developed for 'George Watsons School' cricket club . This website allows users to read latest news posted by the club in addition to that it allows the club to insert scores,updates,teams and etc .